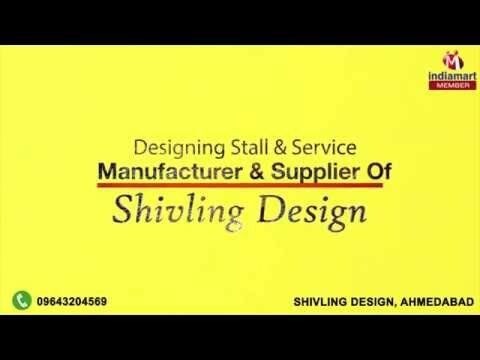 Welcome to Shivling Design (A Brand of Shri Pithad), established in the year 2002, we are manufacturer, supplier and service provider of wide range of Designing Stall and Services. Our products including Exhibition Stand, Trade Show Booth and Stall Design Services are designed to fulfill the exhibition needs of our clients within a variegated range. Each option that we provide our clients with has been designed to optimize functionality and showcasing requirements. Our products add visual appeal to each exhibition our client chooses to display in malls or in stadiums. We employ the use of high quality polycarbonates, metals and synthetic materials to construct each stall with perfection. We make sincere efforts to maintain coordinated efforts in satisfying our clients at all times and endeavor to achieve more valued relationships. We have committed ourselves to exceptional dedication towards quality, which is why our quality control division tests all the finished products on various grounds so that our clients receive only the best end results.